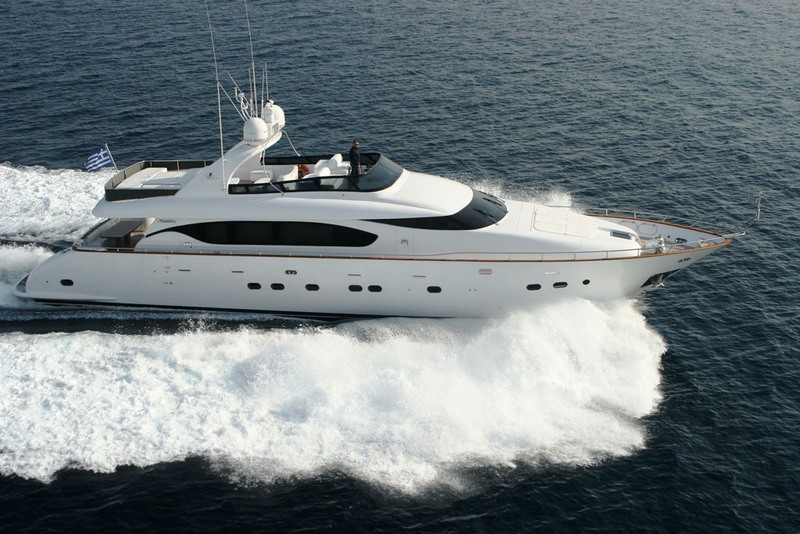 SEFIRA is 27,43m (89' 11") Maiora charter yacht built by Maiora in 2004. 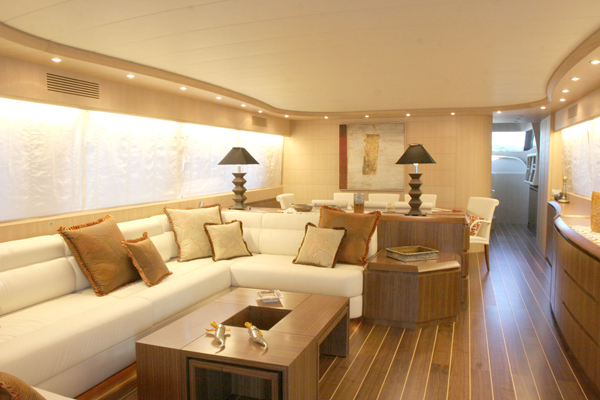 SEFIRA offers superior craftsmanship and luxurious furnishings. 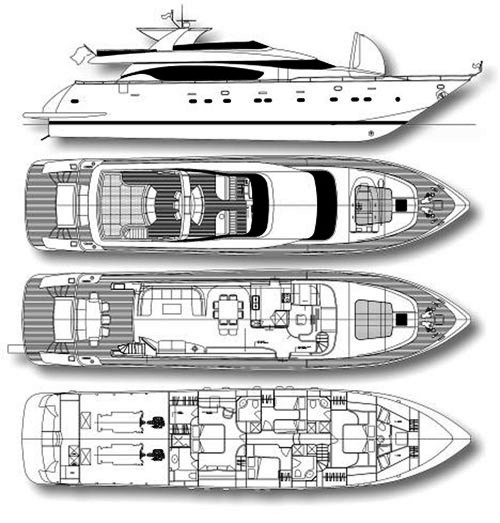 Her spacious aft deck features a large glass sliding door that is electronically and/or manually operated. It is through these doors you enter the vessels luxurious main salon. It has a comfortable semi circular connecting sofa and an additional 2 seater couch in a sugar coloured fabric. 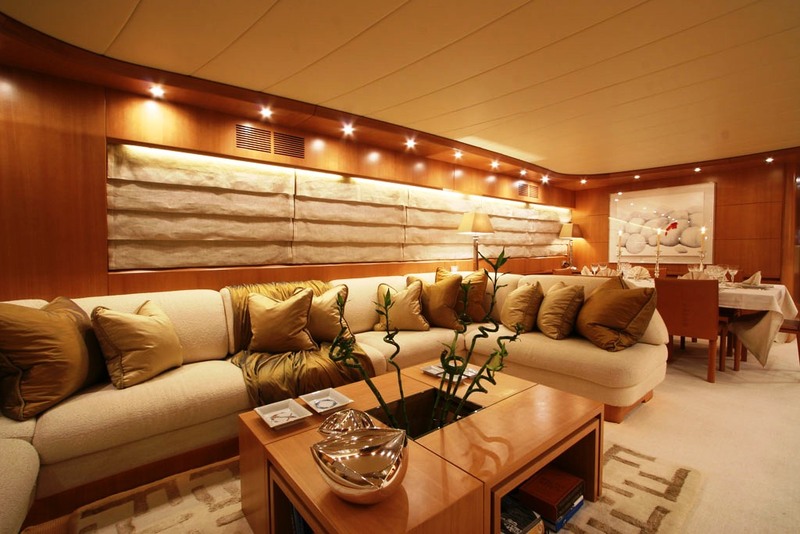 On the starboard side of the salon is a large T.V screen of the latest technology which is stylishly placed on the wall for your ultimate viewing. The surrounding environment features discrete ceiling lights, warm wooden walls which contain a touch of sugar coloured fabric panelling. 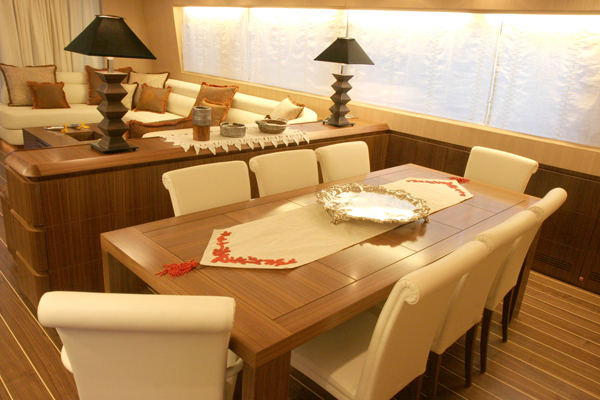 The adjoining dining table is located just forward of the salon. 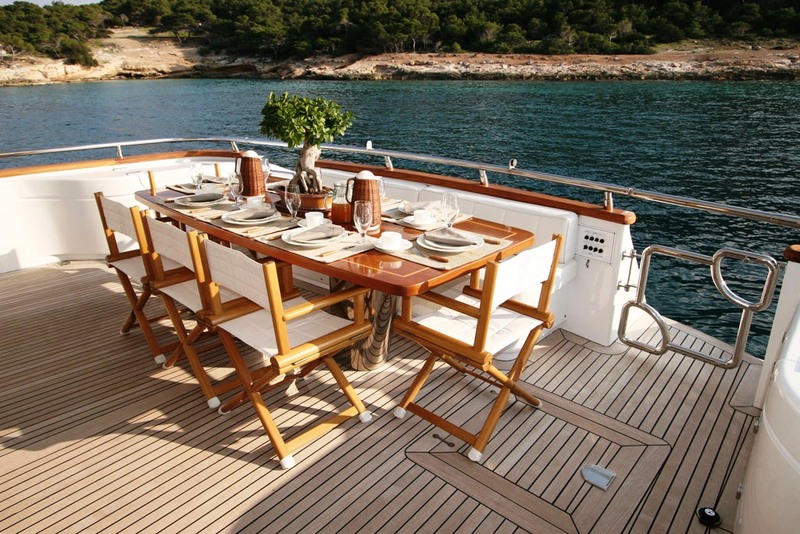 The intermediate sized dining table seats nine guests to be served by the highly professional and humble crew. 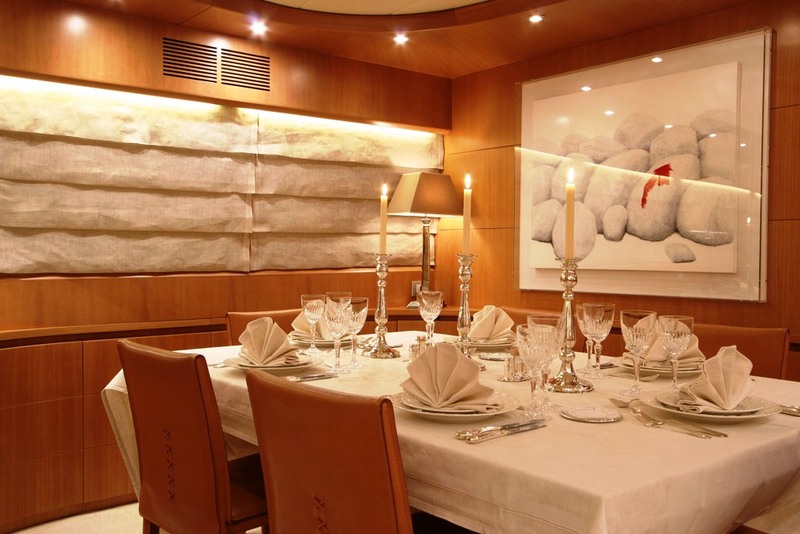 The galley is located just forward of the dining area where the chef discretely prepares delightful cuisine. 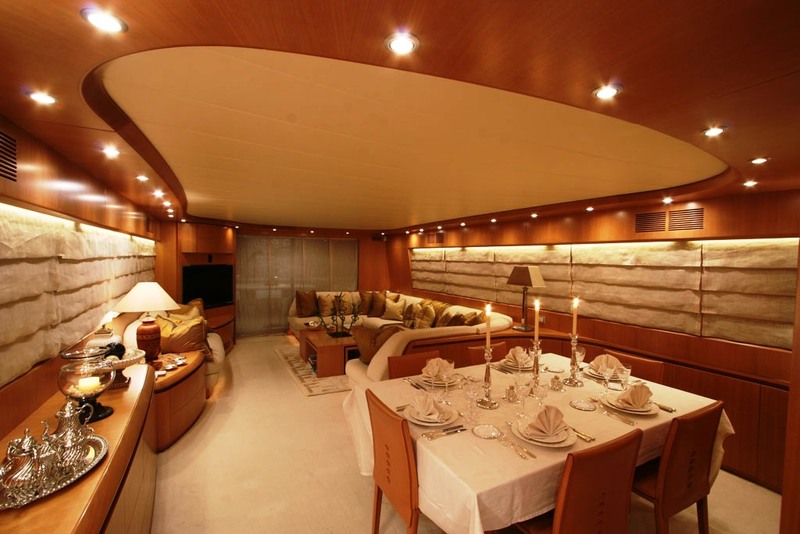 The galley is also equipped with a ‘dumb waiter’ enabling the crew to transport food and beverages directly to the upper deck, avoiding any disturbance and serving you promptly. The bridge is located forward and is fitted with the state of the art navigating and communicating systems. There is also internet access from a laptop and security camera screen. 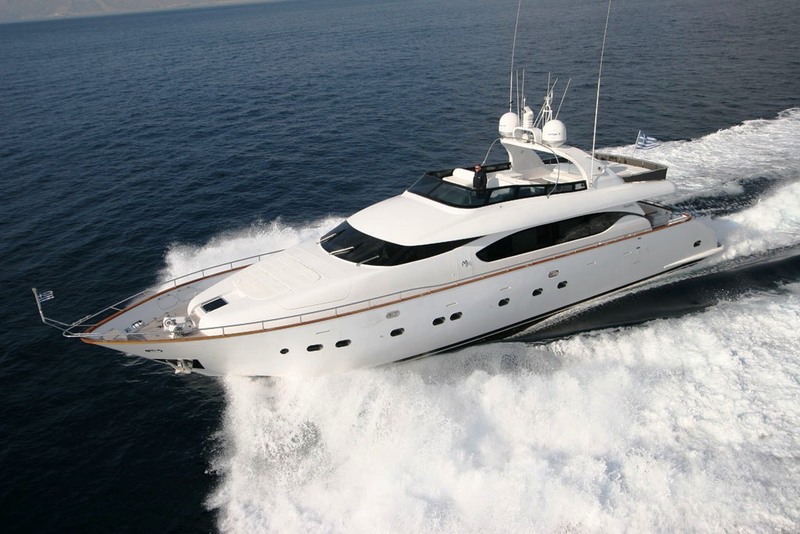 From the bridge you may either exit the yacht from the door to your right, or proceed down a few steps to the cabins. 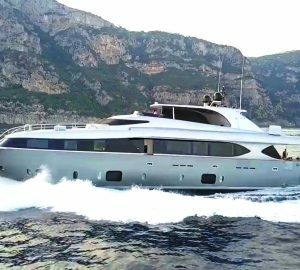 Not only does SEFIRA provide a stylish and comfortable interior but her exterior areas are also well laid out and spacious. 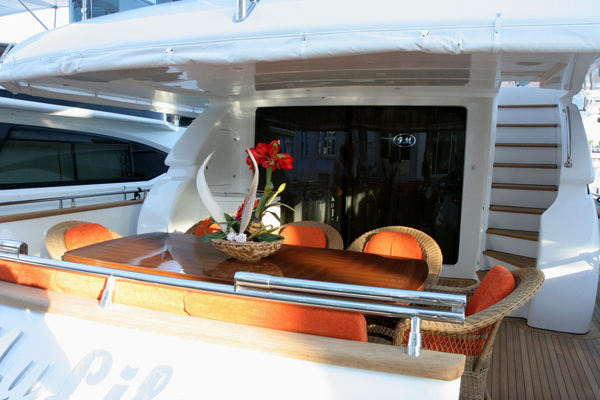 It is possible to dine al fresco on the aft deck or climb a few stairs on either side of the yacht to the large sundeck. 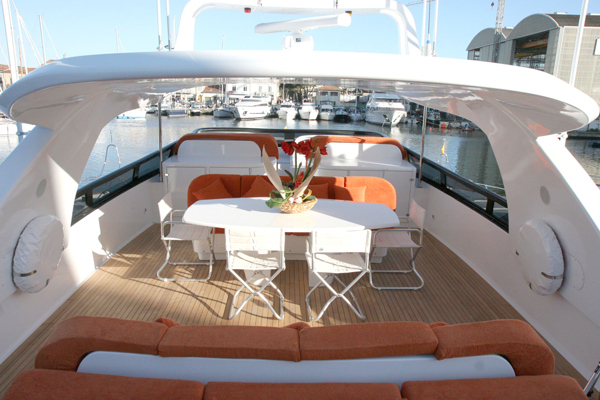 The sundeck has two leather sofas and a table between them, enabling you to sit back and enjoy the ride whilst enjoying your cocktails, canapés or al fresco meal. Directly in front of the sitting area is the fly-bridge. 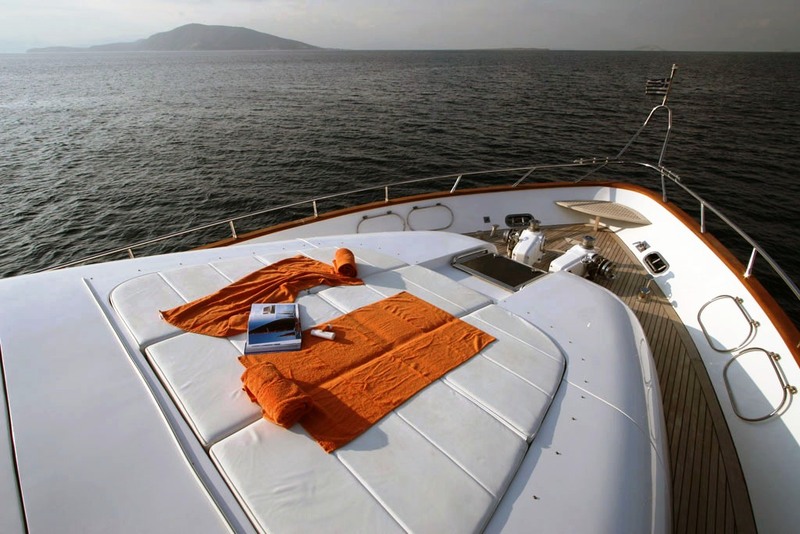 SEFIRA is available for charter year round and has a complement of 4 crew. 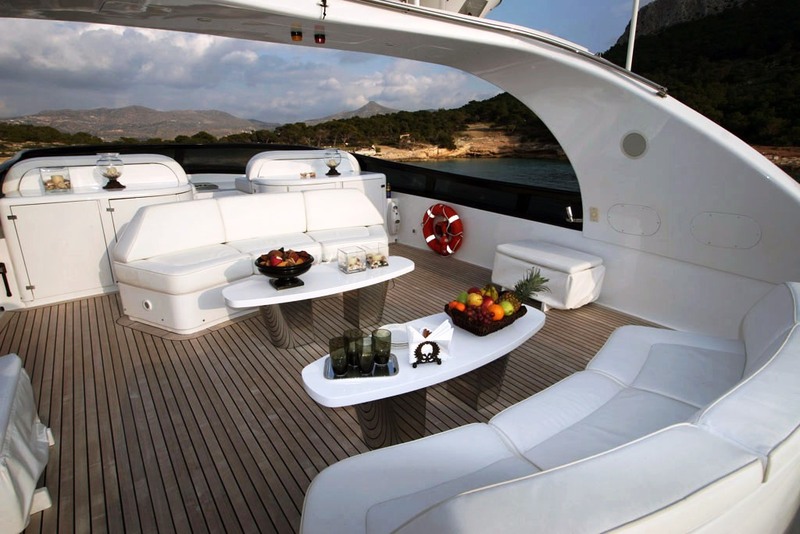 SEFIRA can accommodate up to 9 guests in style. 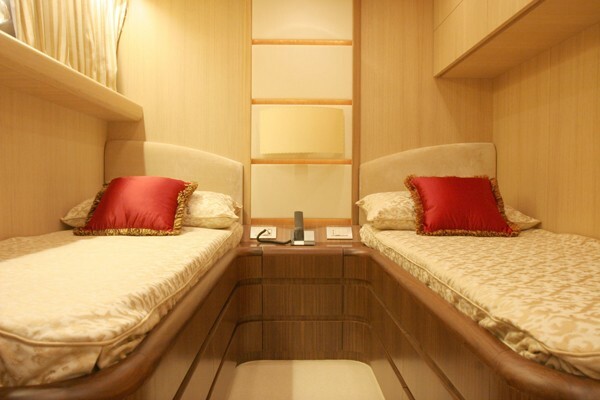 The cabin configuration consists of a Master cabin, a VIP cabin, a Double cabin and a Twin cabin with Pullman berth. 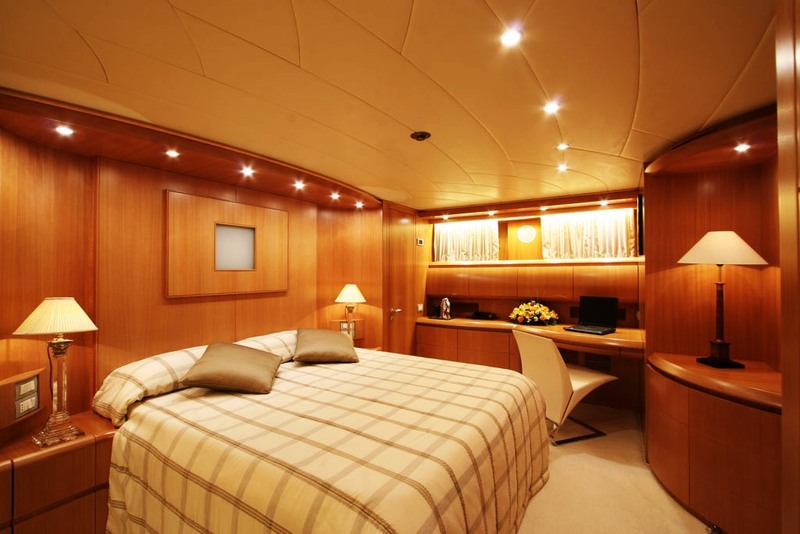 All cabins are equipped with en-suite facilities and air-conditioning. 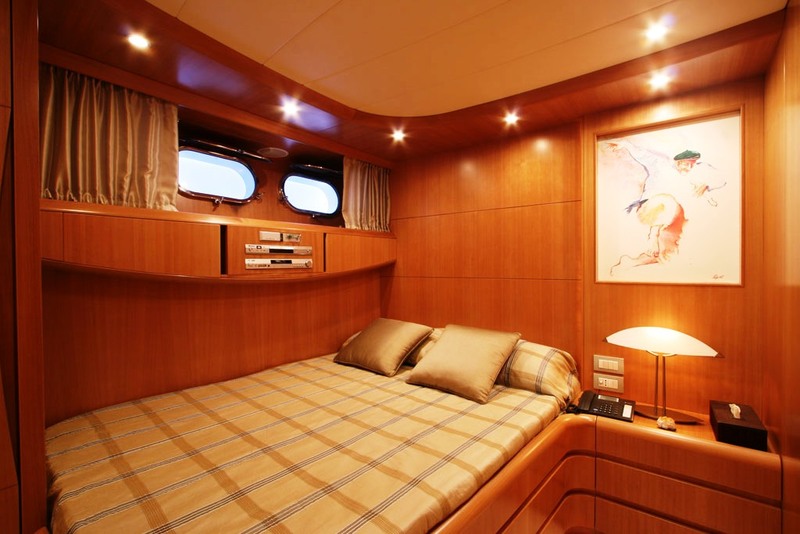 Her master cabin is full width of the beam and features a large and comfortable king size bed, which has a reading table on both its sides. Should you wish to store certain of your personals in a confined and safe area, there is a safety box allowing you to do so. Also there is a mini fridge for food and beverages. 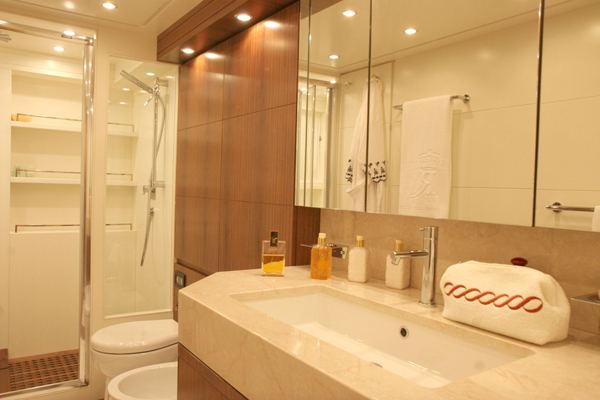 The en-suite facility consists of one glass case shower and one water basin. To the right of the bed, there is a desk with three drawers and a chair. Directly above this area, there are two discrete windows. Air-conditioning, SAT TV/DVD and stereo are also at hand. 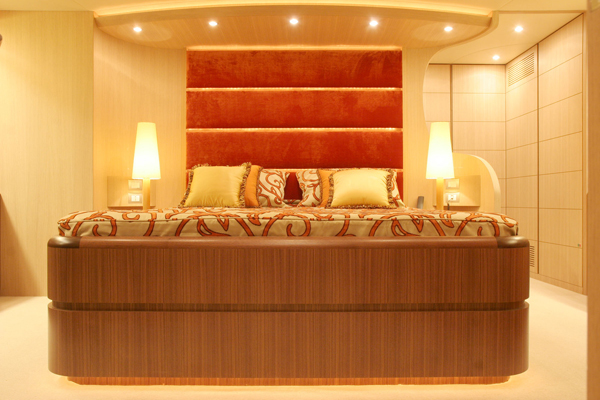 Her VIP cabin is also full width of the beam with a large comfortable bed situated in the middle. A two-leaf closet is found to your right and there is a four drawer dresser. The ensuite bathroom has a glass case shower and one water basin. This room too has Air-conditioning, SAT TV/DVD and stereo/CD for your comfort and pleasure. 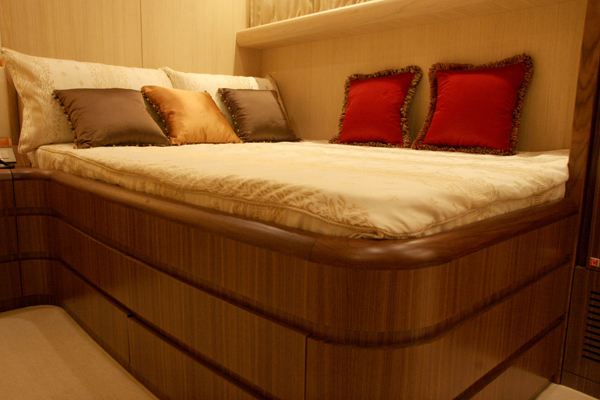 SEFIRA’s cosy twin cabin has a single leaf closet, two single beds with a petite two drawer table. 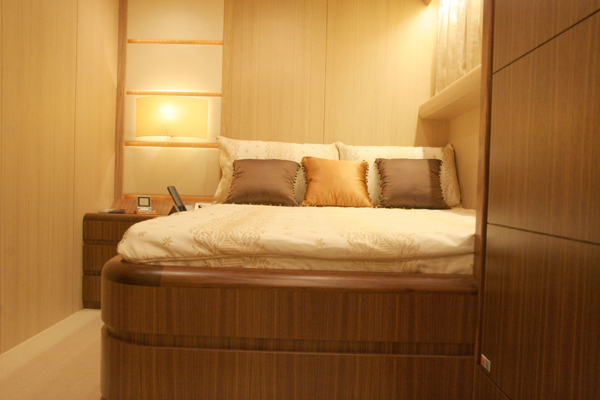 On top and to the side of the left bed, you will find two small windows and stereo/CD player/SAT TV/DVD. 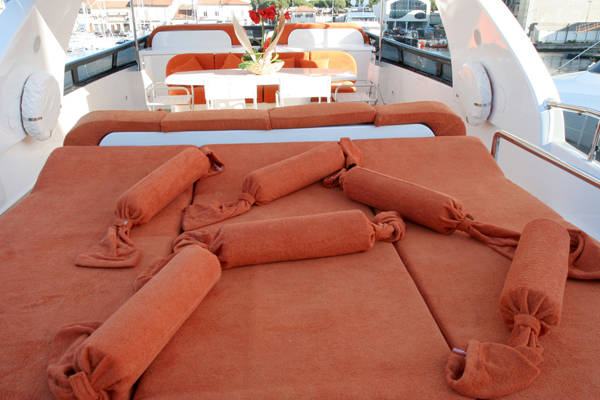 To the side of the right bed, there is a pull-man berth. The ensuite bathroom has a glass case shower and water basin. Also, air-conditioning is at a touch of a button. 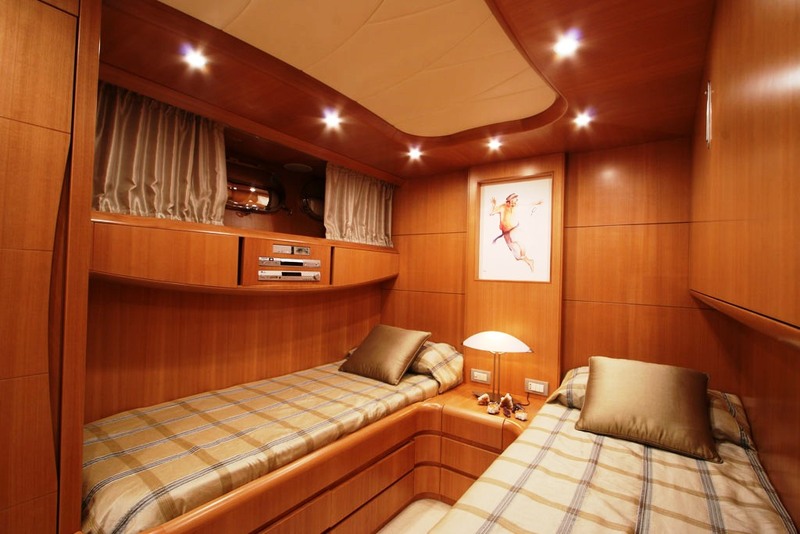 The Double cabin is extremely snug with an inviting atmosphere. 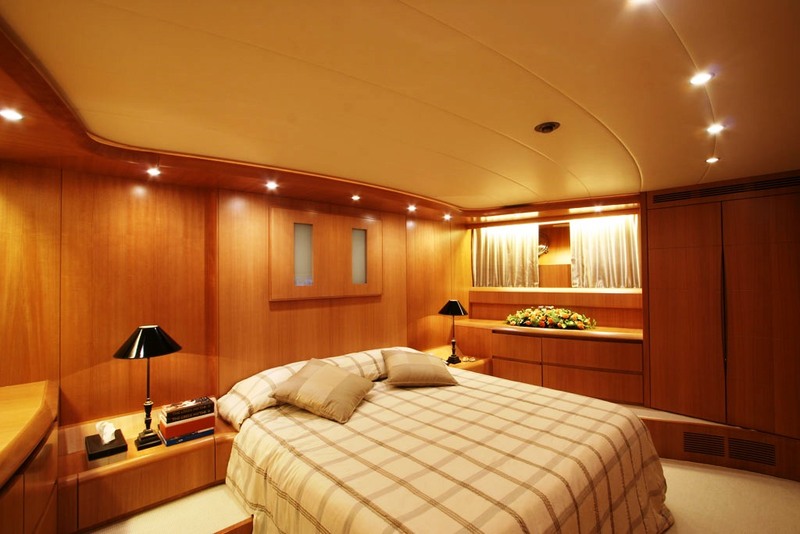 Entering the cabin, you will find a single leaf closet and to the left of the closet is the bathroom. 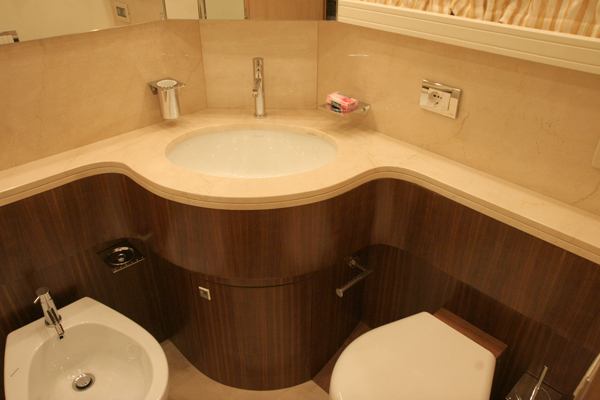 In the bathroom, there is a glass case shower and water basin. 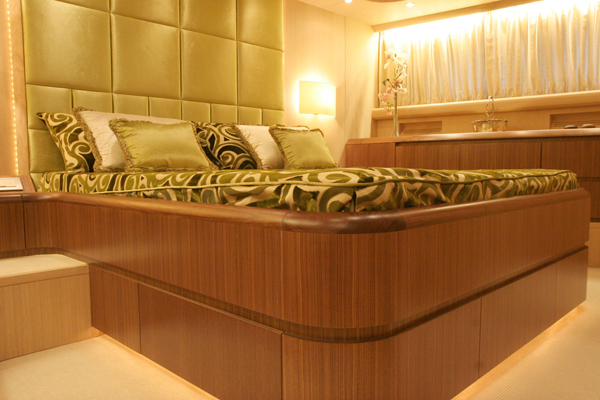 To the right of the cabin is the double bed and a three drawer reading table with lamp. Directly above the bed to the left, are two small windows and the stereo/CD player/SAT TV/DVD. Air-conditioning is available, to further your comfort. 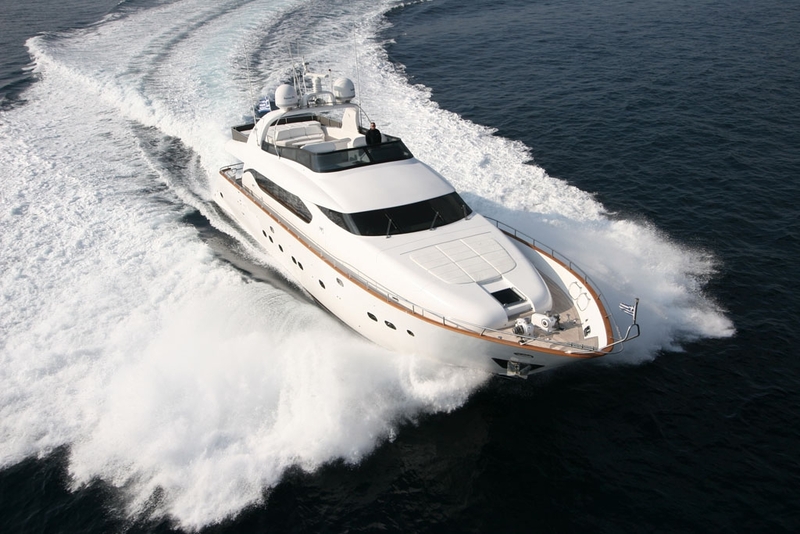 Please contact CharterWorld for a full list of luxury amenities on board Motor yacht SEFIRA.